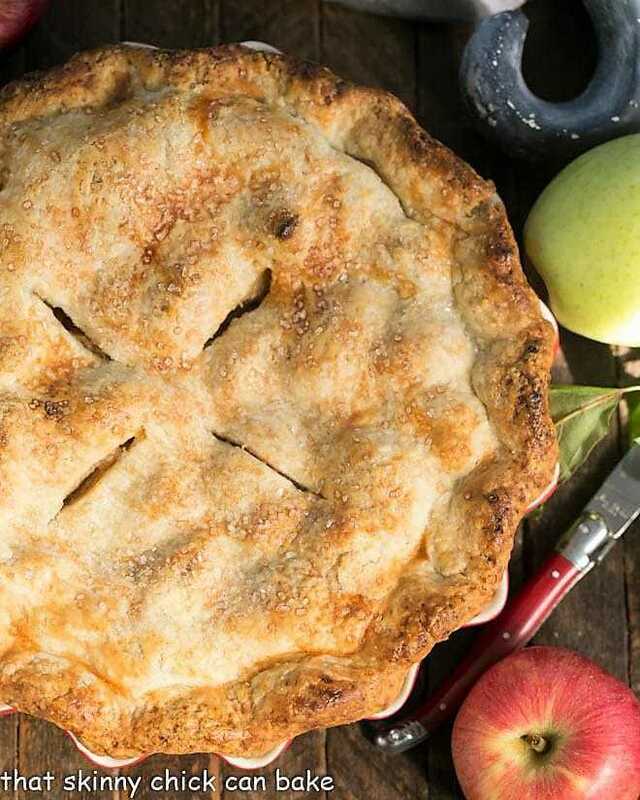 Once apple season arrives, it’s a given that apple pie is on the dessert menu. 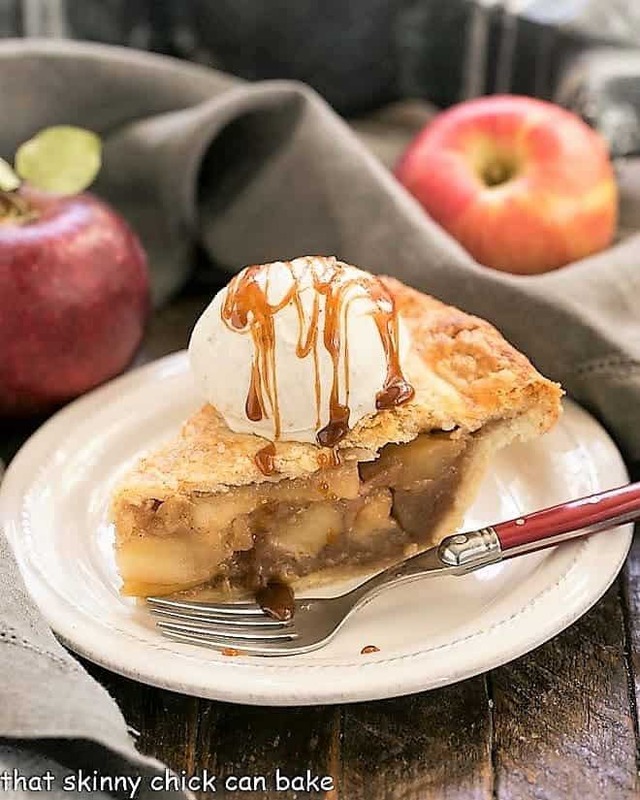 And bolstering this dessert recipe with some gooey caramel sauce makes this Caramel Apple Pie one of autumn’s simple pleasures! This post from April, 2013, was updated with new photos and text. This is my second go-around for this pie. Previously baked in 2013, I was looking through the blog at apple recipes and had to give it another whirl! It seems things didn’t go smoothly with my first attempt, though it was inhaled by the pie loving family! This one had disaster written all over it. First I left the apples simmering on the stove top and the Golden Delicious cooked into mush. Then the crust, full of lard and butter, didn’t look too hot, either. When I added the cornstarch to the hot filling, instead of letting it cool first, I had to spend the next few minutes pulling white pasty bits from the apples. My caramel had to be recooked to the proper temperature after my first half-hearted attempt (I was certain by this time that the pie would be inedible). I didn’t even plan to take photos until Nick (home from college for spring break), who had been tantalized by the aroma of this Caramel Apple Pie, had the first slice. The not so pretty crust was flaky and delicious. The filling, drizzled with some of the caramel, baked into apple pie perfection. And with a scoop of vanilla ice cream doused with more caramel sauce, we had a surprising success. My next pie will be made when I’m not multi-tasking in the kitchen. Hahaha, that’ll be the day. My second attempt went off without a hitch. Whew. Baked for Sunday’s dinner when the boys join us most weeks, they were thrilled with pie a la mode for dessert. Even Bill, who swears not to like caramel, enjoyed a slice every night until it was gone. He abstained from the extra drizzle of caramel sauce, though! In the autumn, there are loads of terrific pie apples in the grocery stores and farmers’ markets. I was thrilled to find some Northern Spys, my favorite pie apple, at a farmer’s market booth one Saturday. Ask which varieties are best for baking if you’re unsure, and play it safe by using 2-3 different kind of baking apples for the best depth of flavor and texture. I like to mix sweet, tart, firm and not so firm apples. You definitely want the majority of the apples to hold their shape so you don’t have an applesauce filled pie. You can easily use a store bought pie crust if that’s your preference. You can also use a jar of good quality caramel sauce (look for butter in the ingredients!). The pie crust recipe I’ve shared is from America’s Test Kitchen so it’s tried and true and very flaky. It’s unusual as it contains vodka which gives some extra moisture to the dough, but evaporates during the baking process. There is no taste of alcohol in this very flaky crust. Feel free to use your favorite double pie crust recipe if you have one. This pie crust also uses a combination of shortening and butter. The shortening makes it easy to work with and the butter provides a wonderful flavor. You can also use lard in place of the shortening which makes a super flaky crust, too. Do not buy the lard that’s stored on a shelf in the grocery store. I purchase leaf lard from a local butcher shop and it makes a fabulous crust, but beware that it’s a bit harder to work with pie dough made with lard over shortening. 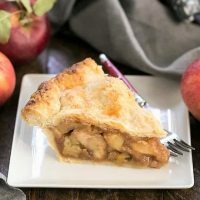 If you’ve ever made an apple pie and had a big, empty gap between the filling and top crust after it’s baked, this recipe has a solution. Precooking your apples helps prevent the shrinking of the filling that occurs when you bake with raw apple slices. It’s that shrinking of the filling that creates the unwanted space under the top crust. I love all things apple, but making a two crust apple pie is often too complicated for a busy day. 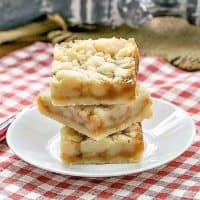 A few apple pie inspired recipes that have caught my attention include these Apple Pie Baked Doughnuts, this No-Bake Apple Pie Lasagna, and these Snickerdoodle Apple Pie Bars. 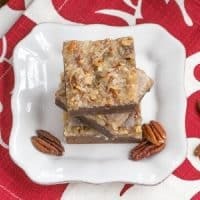 From the blog, I’m a huge fan of these Caramel Apple Pie Toffee Bars and these Apple Streusel Bars. 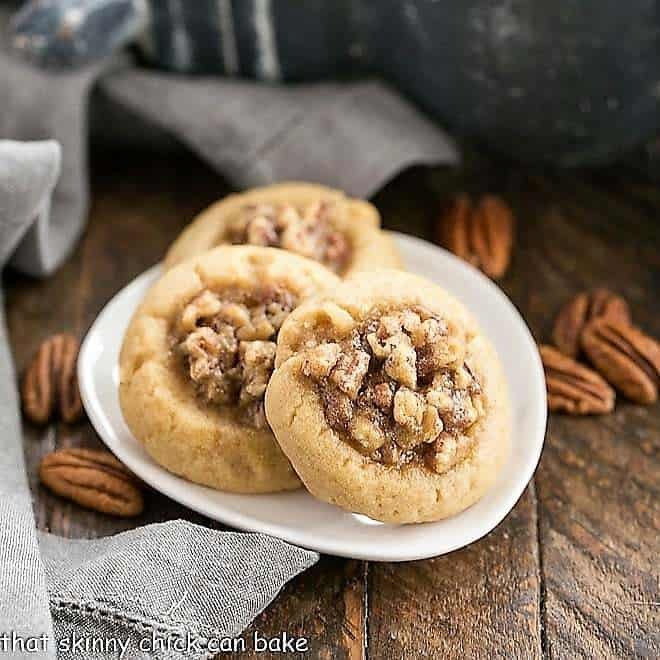 Check out the original recipe on the Williams-Sonoma website. A classic double crust apple pie enhanced by homemade caramel in the filling! sprinkle vodka and water over mixture. With a rubber spatula, mix and press dough until it sticks together. Flatten dough into two disks. Wrap in plastic wrap and refrigerate for about an hour minimum. 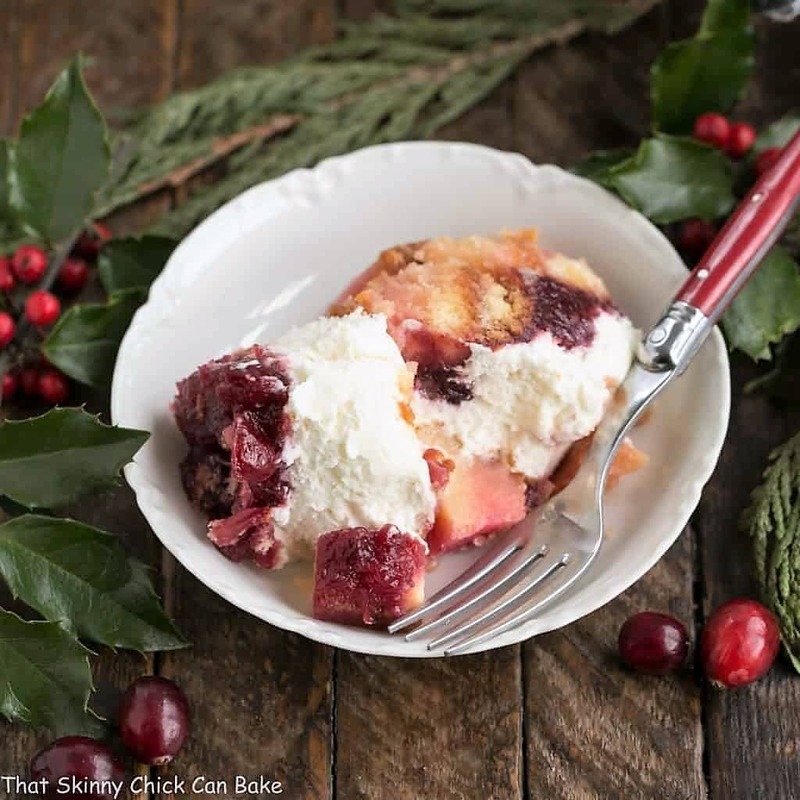 Roll out one disk of pie crust and place in a 9 inch deep dish pie plate. Refrigerate the pie shell and remaining dough round for 30 minutes. To prepare the apples, in a large pot over medium heat, stir together the apples, brown sugar, cinnamon, nutmeg and lemon juice. Cover and cook, stirring occasionally, until the apples are just tender, about 20 minutes. Uncover and let cool to room temperature. Stir in the cornstarch. To make the caramel, combine the brown sugar, corn syrup, butter and salt in a heavy sauce pan over medium heat. Cook until the mixture is bubbling well for about 9 minutes, stirring only during the first couple minutes of cooking. Remove from heat, then carefully stir in 1/4 cup of the cream, then stir in the remaining 1/4 cup cream. Let cool until just warm. Preheat oven to 400°F. If the dough in your pie pan is really firm, let it sit at room temperature for about 5 minutes. In a large bowl, combine the apple mixture and 3/4 cup of the caramel. Save the remaining caramel to serve the pie. Pour the apple filling into the pastry lined dish and place the top crust over the pie. Trim the edges of the top crust so that both top and bottom crusts are flush with the rim. Press crusts together around the rim and crimp as desired. Brush the top crust with egg wash and sprinkle with sugar. Place the pie dish on a baking sheet. Bake until the crust is golden brown, about 1 hour. If crust is browning too quickly, cover edges with foil. Remove pie from oven and let cool to room temperature on wire rack. 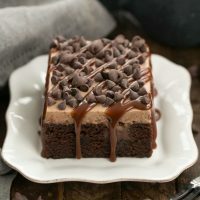 Serve with ice cream and rewarmed caramel sauce, if desired. 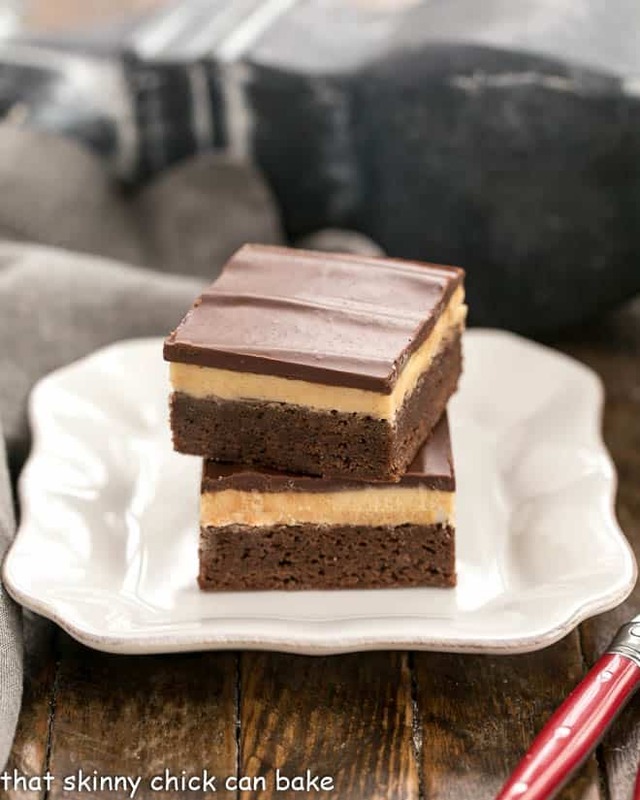 Calories reflect using all the excess caramel to drizzle over pie slices. We found we did not use it all. It looks so great! I have to try this! I get super emotional when little things keep going wrong while baking. It truly is amazing when things turn out. This pie looks perfect and delicious! Oh, Lizzy! This pie! I thought I had curbed my sweet tooth with this cleanse, but this tasty pie is luring me back! Liz, despite some obstacles, your caramel apple pie with some vanilla ice cream and extra caramel sauce on top looks fabulous – I think I would really like a slice right now, it is afternoon here and I am about to enjoy a cup of tea, so all I would need to make me really happy right now is a big slice ot that delicious pie of yours! I love it when oops moments turn into success. The pie looks amazing, Liz. I love apple pie. Even though I wouldn’t need the ice cream, I’d take some just so I could drizzle a massive amount of caramel sauce over it. Not very much a fan of caramel but I like apples and the pie crust. Both these elements in this pie are enticing me to take a bite. What a great classic!!! Filling looks delicious and that crust looks so buttery!! What a lovely combination of vanilla ice cream topped with caramel sauce and apple pie.. 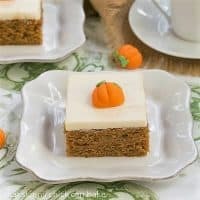 I wish I could have a bite of it! Looks heavenly.. Absolutely mouthwatering! A must-make this summer, for sure. Thanks, Lizzy! Great pie Liz – there is nothing like apple – so yummy and comforting. Apple pie is comfort food for me. Yours look delicious. Sounds like Nick saved the day! Those “Nicks” have a way of doing that 🙂 Your pie looks fabulous, know one would have known your multitasking got you in a bit of trouble had you not spilled the beans ! Vodka in the pie crust? Are you sure that is where it went? From all the problems you had, I thought maybe that it went into the chef instead. In spite of all the problems, it does look good. It did look great so I´m not surprised it tasted wonderful. With vodka in the dough, caramel in the filling, and you in the kitchen, fat chance this was going to turn out inedible Liz! Did the vodka make the dough more crackly? We have a dough for a very traditional alfajor here, that uses a tbs of alcohol and the reason is that it makes it crash when you bite it. I am ashamed I have been so lazy for the last several days, visiting family and not contributing to my blog. You seem to have been working nights and days! This pie looks gorgeous! I love the thick generous layer of fruit compared to the crust and of course the ice -cream looks perfect with it. This looks and sounds so delicious! I was going to say, how could this have disaster all over it with such a beautiful and inviting photo!?!? I hate it when I have those disaster days in the kitchen. Usually I can fix things, but sometimes I have to start over. Luckily they don’t happen very often. Anyway, this pie turned out looking great! Nice recipe, and even though it turned into more work than you expected, I’ll bet it was worth it. Good stuff – thanks. This looks incredible, can’t tell you had any challenges at all. Love it! That looks like my kind of “caramel apple”!!! Never would have guessed that you had such trouble because it looks perfect and was obviously delicious. You multi-task quite well I’d say! lol, i totally hear you on the multi-tasking! but this really sounds and looks wonderful! 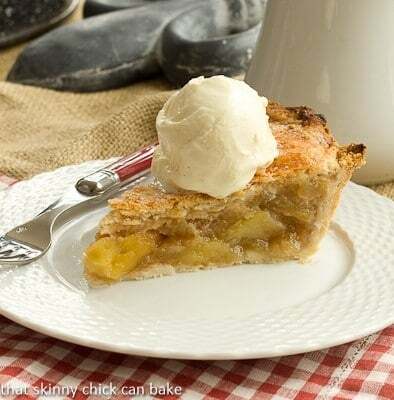 Awwww…that delicious apple pie is making me hungry! It’s really a bad idea to be blog hopping at this time of the night! Oh yum, you can never go wrong with apple pie and caramel! It is always so frustrating when things go wrong in the kitchen. And it’s always a downward spiral after one thing goes wrong. Either way, this pie looks fantastic! Caramel and apples were meant to be! And as Lora points out if our beloveds enjoy it, that in itself is a grand victory. P.s. Your photo is going on my Pinterest board. I’m not brave enough. 🙁 Off to buy some store-brand stuff. Disaster or not, that is one amazing apple pie, Lizzy! Just looking at that beautiful slice with that scoop of ice-cream and caramel sauce, I am positively swooning….. The pie looks incredibly delicious! It looks perfect! The caramel sauce on top sounds fantastic. I would have kept asking when this would be done too! You just can’t beat an apple pie for good taste. This recipe sounds amazing! We are so excited to see that you will be donating your post on April 8th to spread awareness about hunger. Wondering what you will write about? How about food drives for the 21st century…efficient, green, productive and fun! Everything is ONLINE now! 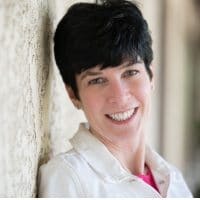 See how this blogger, Mommy Poppins, invited her readers to join her in helping 10,000 hungry children in New York City with the click of a mouse! Haha – funny story – but it happens to most of us from time to time. It still sounds and looks delicious. I know my son would love that – he likes apple anything. OMG! Just when you thought applie pie ala mode could not get any better! Looks so wonderful – I love caramel! Oh, I miss spring break. It is always nice to have them home. And apple pie is hard to ruin. And this looks great! This looks like a delicious plate of comfort food. Multi-tasking in the kitchen does lead to disasters but it’s part and parcel of the fun. Love a good apple pie, especially with caramel and ice cream! Such a tasty treat! I love it when mistakes turn out well! Love apple pie. Looks de-lish! I’m so glad this turned out well! Now when can I come over for a slice? Oh the pie looks so delicious. Apples and caramel make the best pie. Wish I lived close by so I could drop by and have a piece. Your pie looks like a complete success to me Liz! I’m sure that the taste was extraordinary . . . anything with caramel screams delicious! I know I posted a comment here the other day but don’t know where it went. Anyway this looks wonderful. Don’t you just love it when you think it’s going to be a flop and turns out delicious? Apple pay.. mmm.. always a winner. With caramel must have been divine! This has Mr. J written all over it. Maybe for his next birthday! THE older I get the less I can multitask! But it looks delicious. I’m sure your son was in pie heaven! Have a great weekend Lizzy. I have this recipe to make one day. It looka so good but I can’t believe how much trouble you had. I made Four and Twenty Blackbirds salted caramel apple pie and it was outstanding. I need to make it again to post. This pie looks amazing! Say the words “caramel apple” and I am in. It doesn’t look disastrous to me. Even your flops look mouthwatering. Your pie looks delicious. Ahhh! 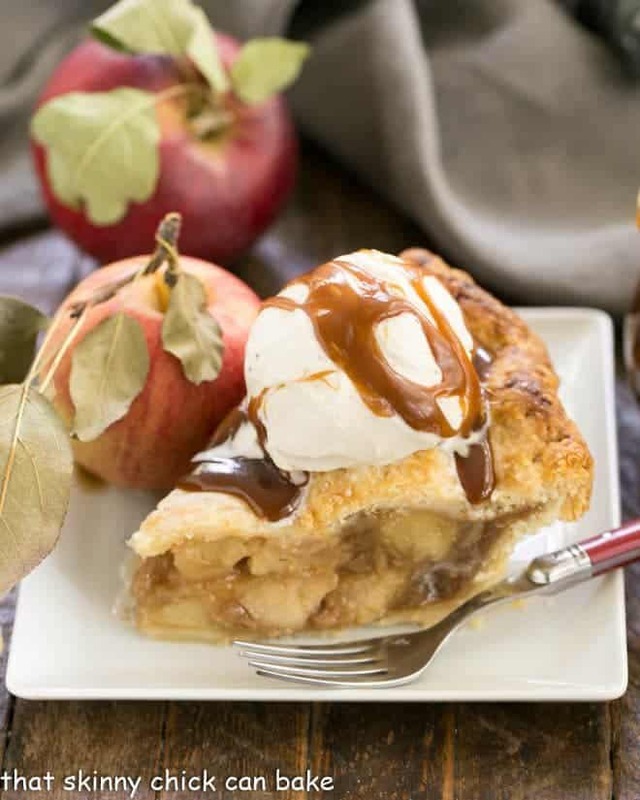 Caramel apple pie sounds like the best thing EVER!!! I need to find an excuse to try this, STAT. I must admit the crust was not your run of the mill pie crust…I substituted buttershnapps for the vodka and the dough was SO hard to deal with. SO worth it though. best pie crust ever. Looks fabulous! It’s great that second time around, things went to plan. For some reason, I couldn’t get on the apple band wagon during the last few falls, but this year seems different. This apple pie is really making my mouth water! 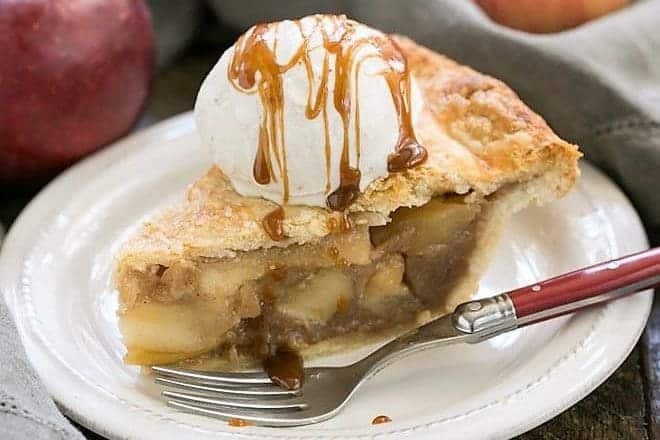 Caramel apple pie is the perfect dessert all year round if you ask me! It’s making me want a huge slice of that heaven right now!! This looks so yummy! I’ve never heard of using vodka, such an interesting tip. Thanks for the recipe! You are definitely the pie queen. And I am the pie lover. We go good together, it’s just too bad we live a few states apart! What a gorgeous looking pie, far more beautiful than the one on Williams Sonoma site. I bet the house smelled amazing as this beauty baked up. How nice that your family comes together every Sunday for dinner, what a special time that must be. I bet you are over the top that the renovation is over! Looks and sounds great, Liz! My grandmother always made her pie crust using lard, the best crust ever. Thanks for the recipe, love that caramel! absolutely love apple pies, are my favorites, hugs!! There’s nothing better than caramel and apples – this is my dream pie!